Howdy! 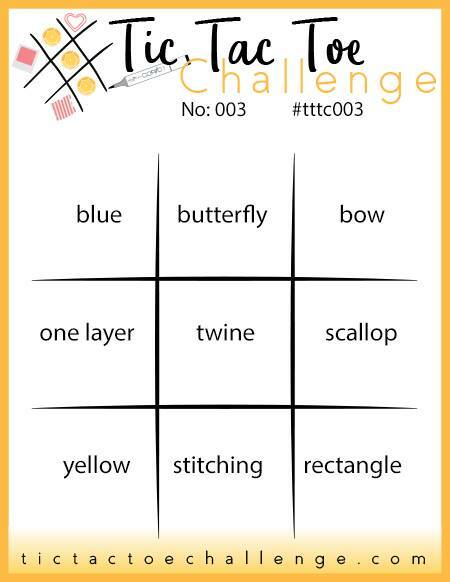 Here we are at another NEW Tic Tac Toe Challenge -- Week 4! It's true, time does fly when you're having fun and I'm having so much fun using the TTTC boards for inspiration. So many different ways to be inspired and kick start your creativity! 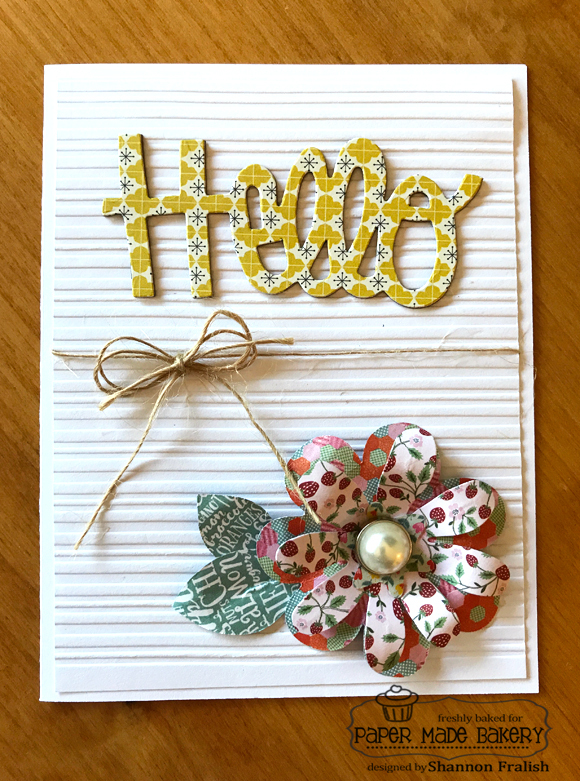 The board's middle row gave inspiration for this card using patterned paper (or DSP) for the floral embellishment that sits atop the embossed background layer. I used Authentique's Sassy papers, which are filled with pretty, homey patterns along with vintage sassy gals. 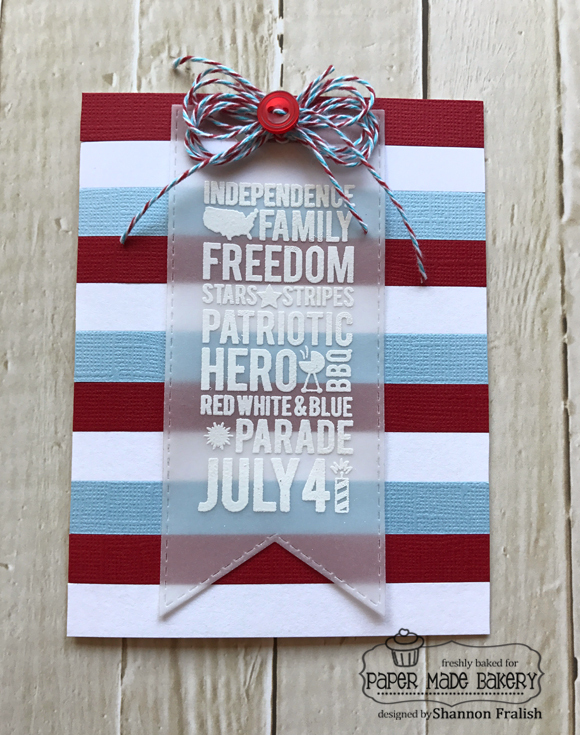 The die cut is by Stephanie Ackerman for Sizzix and it's layered with more Sassy paper and a chipboard cut to add dimension. 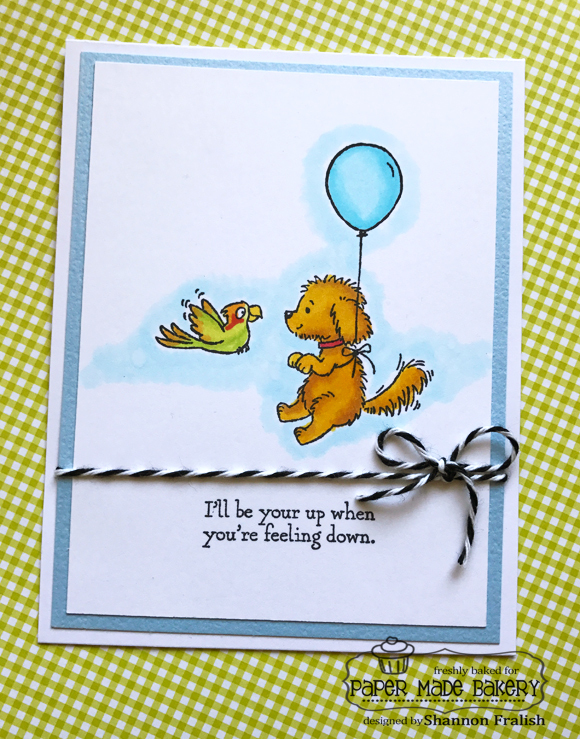 This card's got some rustic, down-home charm! I chose the left diagonal - blue, twine, rectangle - for my simple little card. This little guy went through some morphs as I played with all the elements on the inspiration board. I bet you can see where this one might have gone the blue, one layer, yellow way, but I'd stamped on a panel and thought, "if I mount this onto a card front, will that mean it's not one layer?" So, I erred on the side of caution and simply added a light blue mat and a bit of twine. Voila! 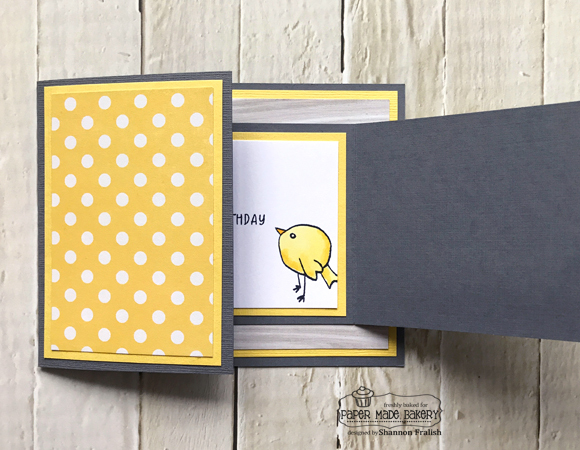 This card is also inspired by my fellow TTTC design team member Jeanie Stark's joy fold card -- check hers out HERE...it's SO adorable! I broke out my Concord & 9th Birdie Banners clear stamp set, Copic markers, Bazzill cardstock and some patterned papers from Summer Bliss by Echo Park. 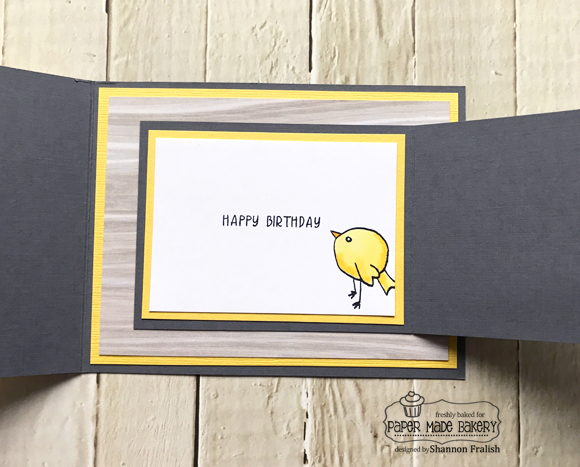 You'll see more from that collection in our Paper Made Bakery June card making workshop/kit! So, wanna give this week's challenge board a try?! Head on over to the Tic Tac Toe Challenge blog and see the entire Team O's projects and find the button to link up your own creation! Good morning and happy Thursday! 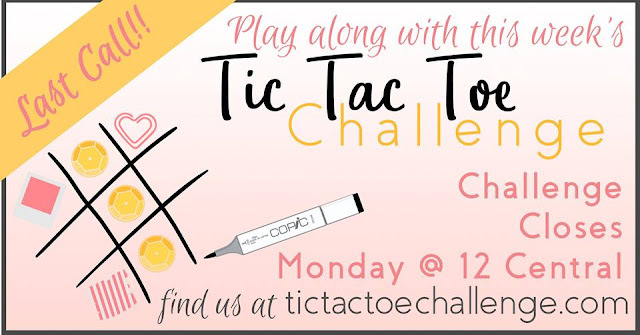 I'm so excited to share this post today because it's the FIRST Tic Tac Toe Challenge and my buddies on Team X have put together a fantastic blast of inspiration. 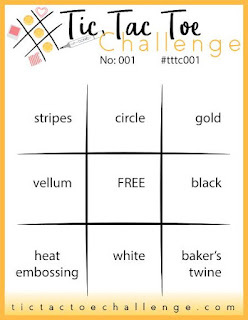 If you've not heard of the Tic Tac Toe Challenge, click HERE for the details. In a nutshell, it's a weekly inspiration challenge with TWO design teams ready to inspire you. There's a Team X and a Team O (we make up the Tic Tac Toe team!) I'm on Team O, along with four other outstanding gals, and there are another five creative ladies on Team X. 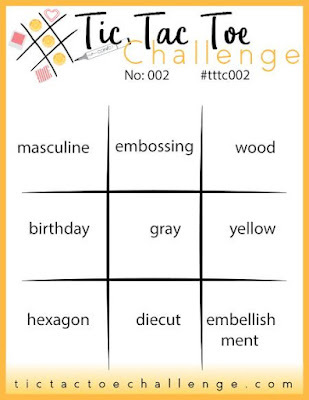 Each week a new Tic Tac Toe board is revealed with each square containing card making design elements to get your creative mojo hopping! I'm personally inviting you to join us -- use the Tic Tac Toe Board for inspiration and create a card of your own. 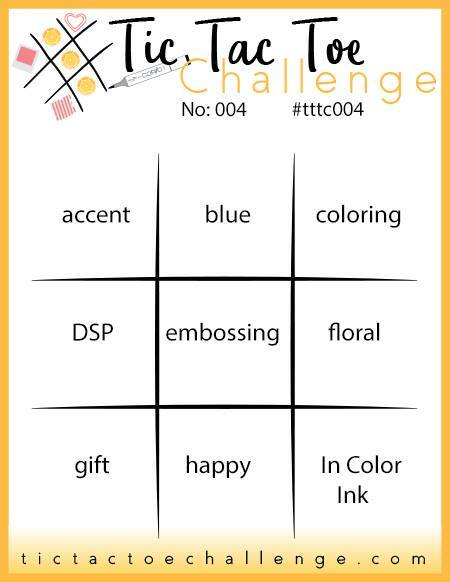 Then post it on the TTTC blog -- we'd LOVE to see your project! 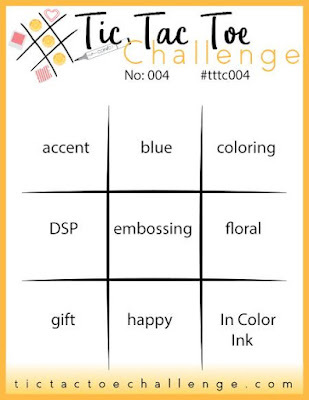 So, here is my card for Challenge #1. From the TTTC board this week I used the left row: Stripes, Vellum, Heat Embossing. 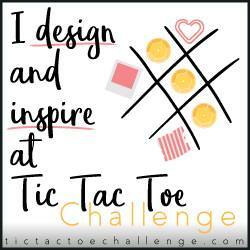 Now, these Tic Tac Toe boards are SO inspiring, that I also used the bottom row: Heat Embossing, White, Baker's Twine. OK, to be honest, you can also see I used the left to right diagonal row: Stripes, FREE (button), Baker's Twine. Boy, this was fun!!! 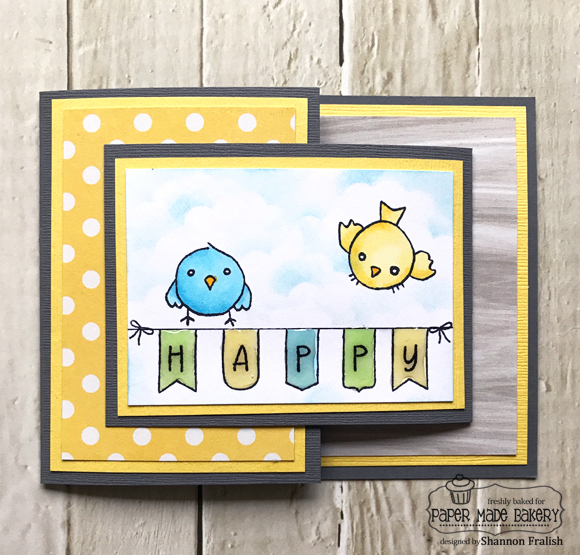 Thanks for stopping by and I challenge you to get over to the TTTC blog and grab some inspiration for your next card!